My mother’s family grew up in Singapore so it was very natural that I grew up eating Malaysian influenced food like curry and satay on a regular basis. 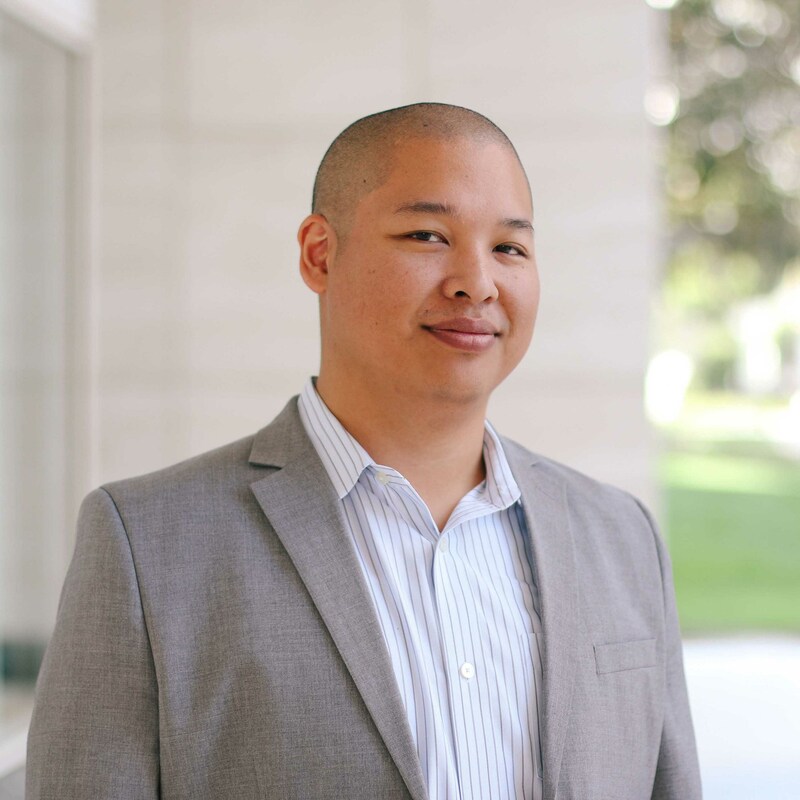 I fell in love with the spice and burst of flavor that Malaysian food has, so when I first ate at Penang Malaysian Cuisine in West Covina I was hooked. My two favorite dishes at Pengang is their chicken satay (shown above) and their roti canai (shown below). 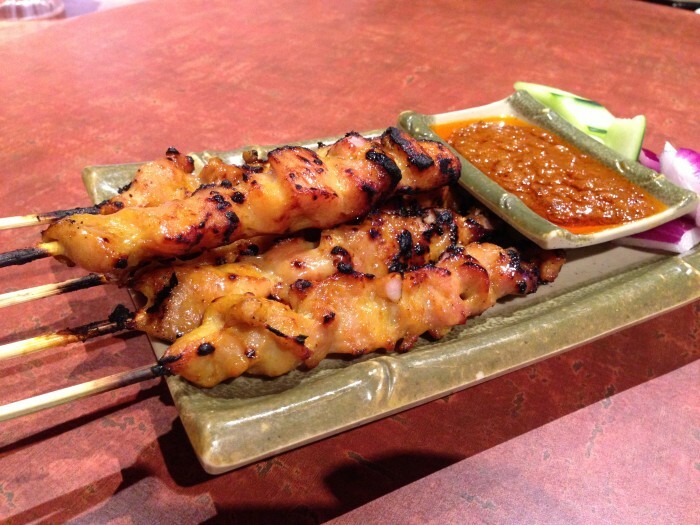 Chicken satay is chicken marinated in satay seasoning (shallots, lemongrass, turmeric powder, and coriander powder) which is grilled over an open flame. Satay is a staple food or Malaysia and Singapore, when I was a kid I went to Singapore with my family and there were satay stands all over the city. Just imagine satay stands are as common as hot dog stands are in New York City. Roti canai is Penang’s #1 dish, hands down. I drive from Tustin all the way to West Covina (33.8 miles) just to eat this dish. Roti canai is a tortilla like flat bread which is crispy and chewy. 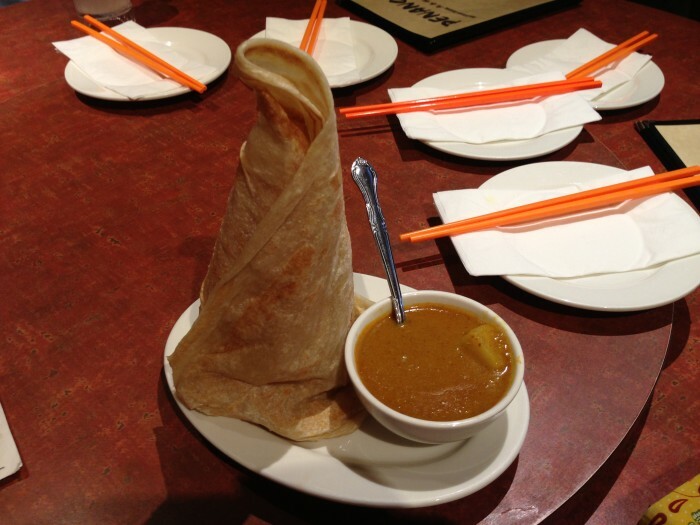 It is served with a bowl of Penang curry which you dip the roti canai into. When my wife and I go to Penang we cannot share one of these dishes, she will make me order two just to make sure I don’t touch her roti canai. This dish is an appetizer but I’ve seen many guests order two or three of these and eat it as their main course. If you like curry then you must try the roti canai at Penang Malaysian Cuisine. 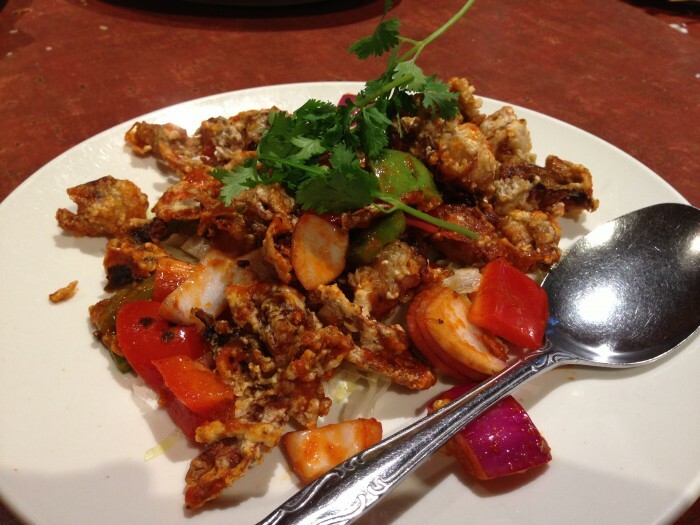 Another great dish at Penang Malaysian Cuisine is their stir fried soft shell crab. It is one of their chef specials and it is packed with flavor! 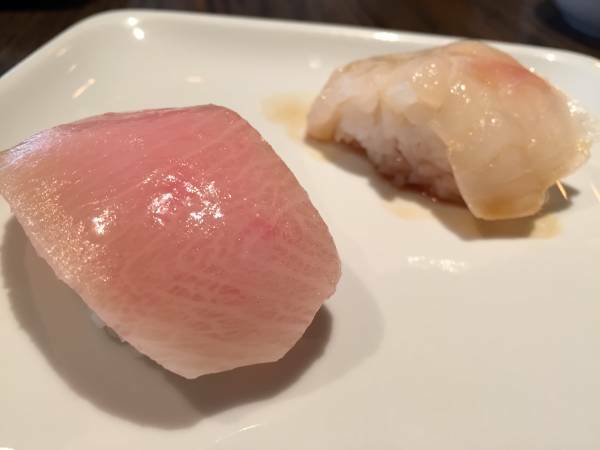 I enjoy crab a lot but I don’t like working so hard to get so little meat. This is why the only crab I eat is either jumbo king crab, soft shell crab or crab cakes. 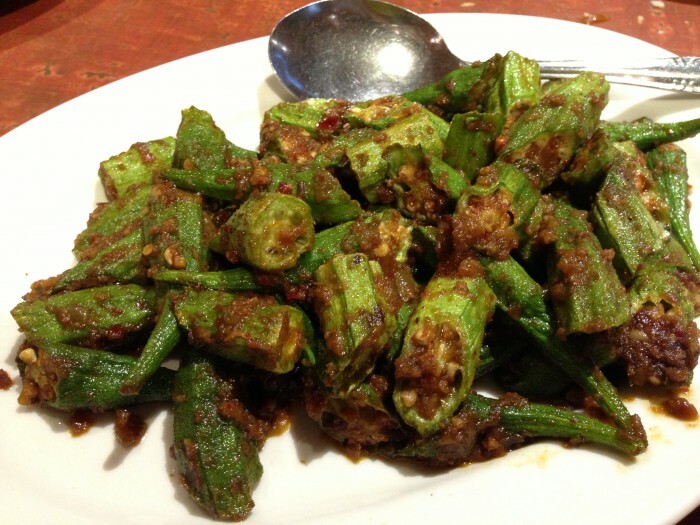 If you are into Okra then you should try Penang’s fried Sambal Okra. It is served with a traditional Malaysian chili sause (Sambal) which is basically a chili paste with seafood flavors like shrimp. 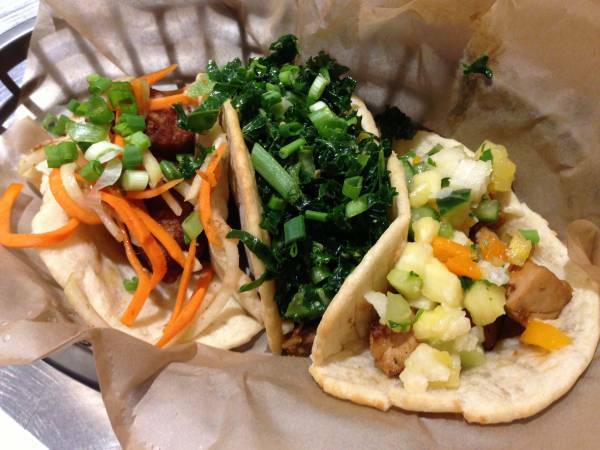 Some people might not like this flavor, but if you do then you will love this dish. The three other dishes I highly recommend are the basil noodle with chicken (similar to Pad Keep Mao), Hainan chicken and their mango sticky rice (seasonal dessert). Check out Penang on Yelp!